Two letters written by Hoel are yet extant and have been graciously made available by his descendants. George Washington Hoel was born in Hamilton County, Ohio on December 31, 1825. His parents were Aaron Hoel (b. 1800, Mt. Healthy, Hamilton County, Ohio, d. 1855, Milford, Illinois) and Jane Sayres (b. 1801, d. 1876); he had a number of siblings. George Hoel married Charlotte A. Fleming on July 13, 1848 in Middleport, Iroquois County, Illinois. George and Charlotte had three children: John, Edwin, and Rebecca. In 1861, Hoel enlisted in Nathaniel Petts' Middleport, Illinois company, which became Company C of the Fifty-First Illinois. He survived the regiment's lesser battles and the great ones of Stones River, Chickamauga, and Missionary Ridge throughout 1862 and 1863. In December 1863, Hoel reenlisted for another three years or the duration of the war—and gained thereby a thirty-day furlough with his family back in Illinois in February and March, 1864. 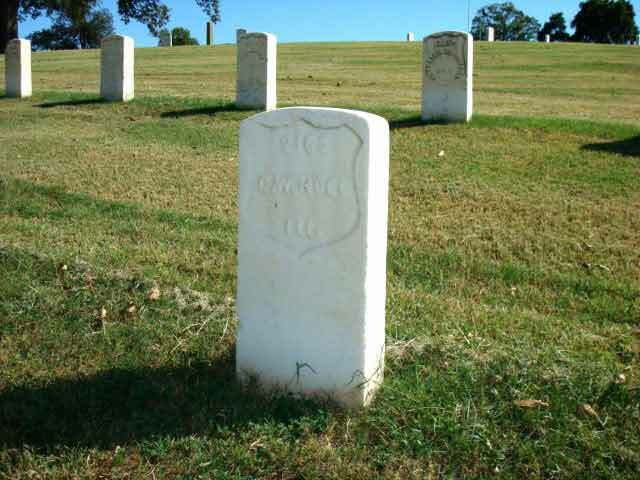 Hoel was severely wounded in the regiment's charge on Kennesaw Mountain on June 27, 1864. Hoel suffered a gunshot wound in the right side and was transported to Federal hospital in Chattanooga where he lingered on until he died of his wounds on September 14, 1864. There was one memorandum book, a watch, and a picture to return to his family. 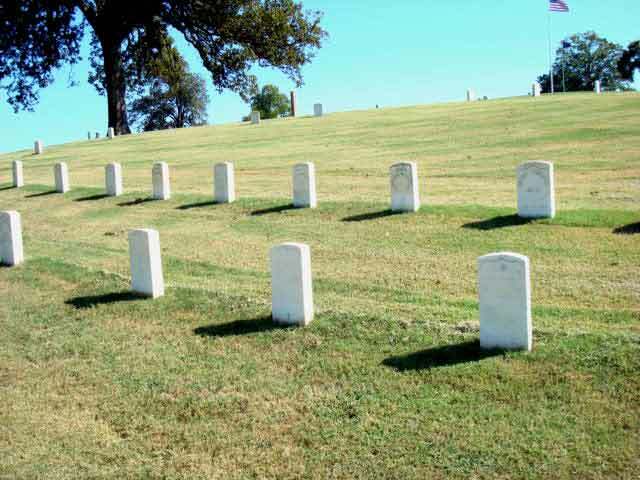 Hoel's final resting place was the new national cemetery at Chattanooga. Biographical information, courtesy of Peter and Margaret (Anderson) Knoess. Margaret is from one of the descendant Hoel lines. George W. Hoel, Compiled Service Record, Records of the Adjutant General's Office, 1780's-1917, Record Group 94, National Archives and Records Administration, Washington, D.C.
Regimental Medical Records, Fifty-First Illinois, Record Group 94, National Archives and Records Administration, Washington, D.C.